Queremos cuidarte en todo momento. 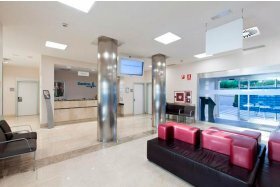 Infórmate de cómo funciona la admisión y los servicios del hospital para ti y tus acompañantes durante tu estancia. At the reception/information er you must complete the necessary steps for your admission. To avoid unnecessary waiting, we recommend that you come to formalise your admission at the time indicated by your doctor or the Admissions department. It is open from 8 am to 10 pm continuously. If you have any doubts, call us on (+34) 91 767 91 00 or further information on any matter you wish. 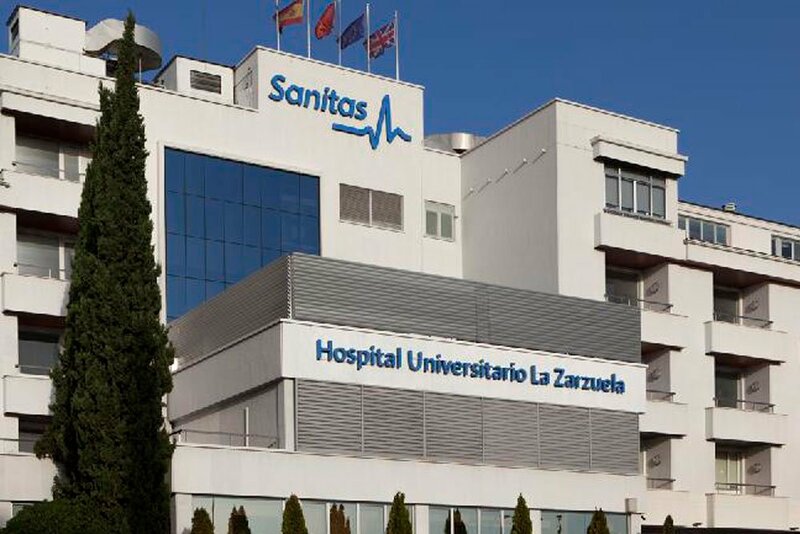 If you come as a Sanitas patient, you must bring the corresponding authorisations of the company for the completion of the services provided during your stay at the hospital. 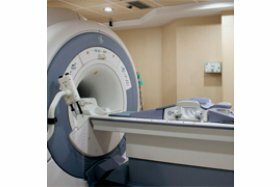 If you come as a private patient you must pay an amount as a deposit, which will vary depending on the service you are going to receive. The finance department will inform you of the deposit amount. To formalise your admission you must provide your personal details, presenting your national identification document. You must also bring with you all the tests and reports completed on you and a copy of the Informed Consent form. 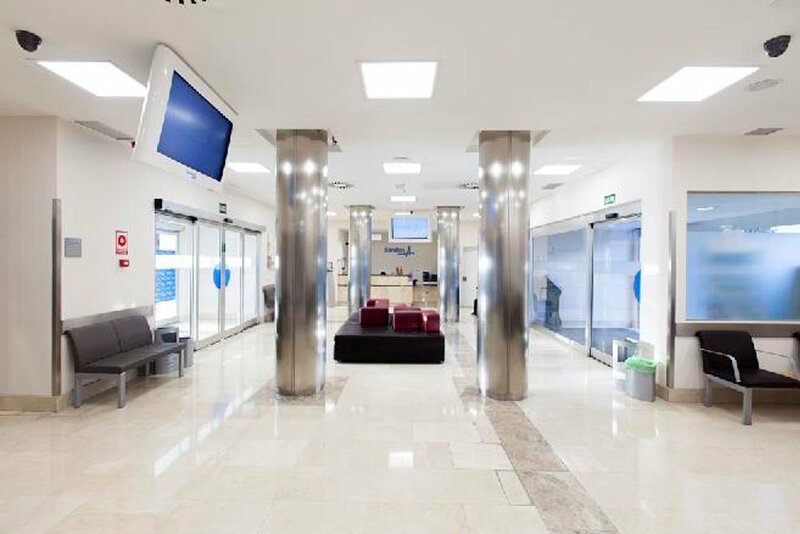 Once all the processes have been completed, the hospital staff will accompany you to the surgery or inpatients area and will inform you of how to access the surgery area and how it works. The diet established by your doctor is best suited to your recovery. All our diets are advised by an endocrinologist and a dietician. Breakfast: from 8.45 am to 9.15 am. Lunch: from 1 pm to 2 pm. Afternoon snack: from 5 pm to 5.30 pm. Dinner: from 8 pm to 9 pm. All rooms have a sofa bed for those accompanying patients. For the well-being of patients more than two people may not stay in the room. Silence is essential and visits by children are not recommended. Visiting hours are from 8 am to 10 pm. The centre can restrict visits based on doctor's orders. Pursuant to Law 42/2010, of 30 December 2010, smoking is prohibited throughout the hospital complex, both inside and outside. 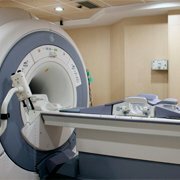 El bloque quirúrgico del Hospital cuenta con varios quirófanos, equipados con tecnología de última generación y diseñados para garantizar la máxima seguridad del paciente. Personal hygiene: full shower with hair wash, thus avoiding possible infections. You must not wear make-up, lipstick or nail varnish. Do not wear jewellery or objects of value (rings, piercings, necklaces, medals, etc.) as they cannot go into the operating theatre. You must bring the pre-operative study and the duly signed informed consent forms (for surgery and anaesthesia). You must fast for at least 6 hours prior to admission, including water. You must take your usual medication up until admission provided that the anaesthetist or surgeon does not indicate otherwise. If you were indicated any type of medication to take in the pre-anaesthesia consultation you must take it. You must bring all the medication that you usually take. If you are allergic to any medication, communicate this upon admission. If you have dental prostheses or any other prosthesis that is not fixed (for example, contact lenses, etc. ), you must remove them, if possible, before entering the operating theatre. Remember that you must bring your identification document (national identification document (DNI), passport, driving licence, etc.) and your Healthcare Card. Go to main admissions; they will tell you to complete your admission. 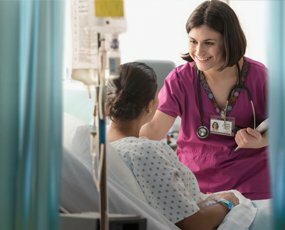 If you are going to be admitted as an inpatient, Admissions will process all the admission documentation. You will be admitted to a cubicle you can be accompanied by a relative during the pre-surgery waiting period. If you are going to be operated on in the day hospital or outpatients department, go to "Pre-admission". 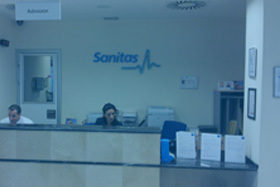 The receptionist will ask you for the contact telephone number of the person accompanying you so that they can advise them when the operation is over. If you do not have anyone accompanying you, Patient Care will be advised and you can leave your bag in the storage area with Security. If you wish, objects of value may be left in the Hospital's safe. During your registration at Pre-admission, the nurse responsible will take your vitals, place a peripheral IV if necessary and collect all your reports to append them to your history. When you are moved to the operating theatre, the person accompanying you must leave the Pre-admission cubicle with all of your possessions, which can be left in the storage area. They may remain in the waiting areas until a room is assigned. A room if admission to hospital is d.
The Recovery Unit if they are a day hospital or outpatient. In this case, a relative is allowed to the patient and thereafter they will be DISCHARGED and sent home. Remember that you have undergone surgery and anaesthesia even if the procedure seemed small to you. You should have someone with you upon discharge. During the day of discharge you must rest and refrain from dangerous activities or activities requiring concentration or decision-making. Avoid being in charge of people dependent on you. Do not eat large meals; repeated consumption of small quantities of food is recommended. Drink plenty of fluids. Follow the recommendations of your surgery discharge report. If you have any queries on your surgical process upon discharge, do not hesitate to ask the healthcare personnel. If at home you suffer any symptom that does not abate with the recommended treatment or any strange symptom, do not hesitate to contact the hospital or go to the A&E department. 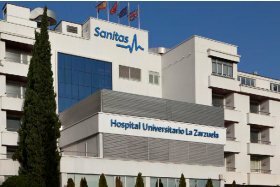 Post-operative and rehabilitation for the elderly: if you need personalised care, Sanitas places Residences for the Elderly at your disposal, with stays and programmes specifically designed for professional rehabilitation in the shortest time possible. In addition, you can take advantage of preferential rates. More information on (+34) 902 55 74 86. 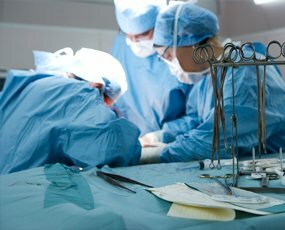 Cuenta con el mejor cuidado hospitalario que podemos ofrecerte. 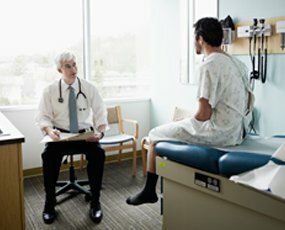 Los mejores profesionales médicos y de enfermería preparados en todo momento. All medical information will be given at 1 pm every day, unless the state of the patients s otherwise. In no case will information be given over the telephone. When the state of the patient permits, visits will be 30 minutes and 2 people per patient, and will be at the following times: from 1 pm to 1.30 pm and from 7 pm to 7.30 pm. Open-door PICU in which the child can be accompanied by one of the parents 24 hours a day. Visiting hours for other family members are from 12.30 pm to 1.30 pm and from 6.30 pm to 7.30 pm. These hours can be affected by the conditions or needs of any child. The staff of the unit will inform you of these alterations. All medical information will be given at 12.30 pm each day. In no case will information be given over the telephone. Next to it there is a waiting area for exclusive use during the day of the parents of children admitted to this unit. 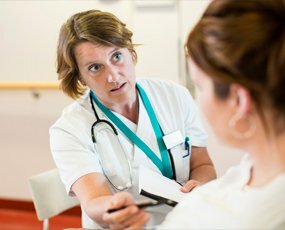 The doctor will notify you of your discharge by delivering a report which you must present at reception to formalise the administrative procedures and settlement of possible charges. The room must be left before 12 am if the discharge report was delivered first thing in the morning. If you are outside of these hours, the patient must leave the room as soon as possible. If the room is left after 12 pm and the discharge was given beforehand, the full stay will be invoiced. 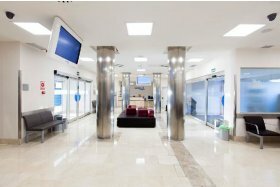 For greater comfort, once discharged and until you leave the hospital, there is a separate waiting area and a storage facility for your personal belongings. Monday to Friday from 9 am to 7 pm. At weekends, payment will be made at Admissions.